Here’s a list of their recent achievements: Their debut album Amusements was released in the US by Goner Records, they have a follow-up album planned with Goner, they’re playing Gonerfest 11 in September, they’ve got a handful of singles coming down the pipeline, Saturno Records issued their Split Personalities cassette on vinyl, and we were even lucky enough to book them right here in Philadelphia on September 30th – they’ll be playing with Philly proto-punks Lantern and Dan’l Boone (Neil Hagerty – ex-Royal Trux, The Howling Hex and Nate Young – Wolf Eyes) at Johnny Brenda’s. 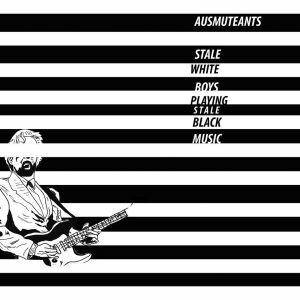 Now changing gears, the Ausmuteants latest release has been making the rounds and for very good reasons. The 3-track 7″ see’s the band delivering their synth-punk with their off-kilter pop sensibilities, showed off by each track in various dazzling fashion. These three songs originally come from their sessions for Aarght Records, which would have been a portion of their debut album. “Who’s the Narc” is a near 5-minute affair, worked over with groovy bongo rhythms and a glowing lead synth that unfolds carefully, creating an ultra-satisfying hook that comes full-circle in due time. “Dying from the Inside Out” is a pure synth-punk stomp, driven by explosive drumming and buzzy guitars early on. Their synth approach is different in this song – it’s used as a complementary element, thrown into the chorus to create a two-pronged attack of glistening synth and guitar energy. The single closes out with “Stomach Contents” and we’ve got it streaming below (take advantage because you can’t stream it anywhere else). It’s a simplistic synth-pop burner, built with some absolutely twisted lyrics about cutting open your deceased friend’s stomach, only to learn that he was gay. Think about that one, or just listen below, your choice. Be sure to grab this one from Easter Bilby, and don’t forget to check the stream of “Stomach Contents” – you can’t hear it anywhere else, unless you buy that 7″! Then, if you’re from Philly, we’ll see you on September 30th at Johnny Brenda’s. BUY the 7″ from Easter Bilby – swipe before it’s gone ! RSVP to their show in Philly! 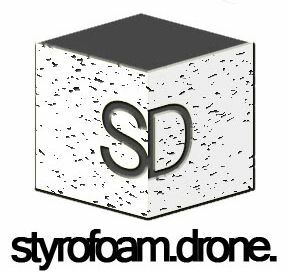 Posted on September 2, 2014 by styrofoamdronePosted in ReviewsTagged 7", Ausmuteants, Easter Bilby, Lo-Fi, punk, Stale White Boys Playing Stale Black Music, synth pop.